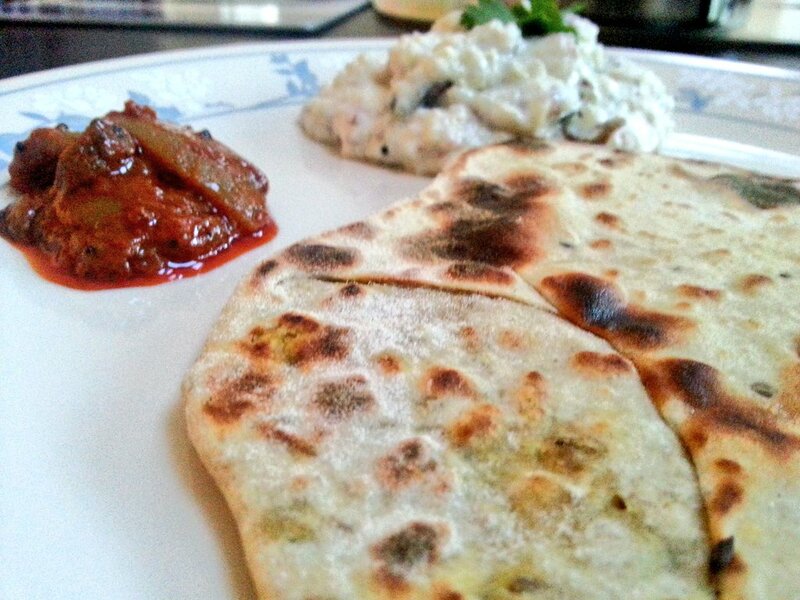 This is a Punjabi recipe for flatbread filled with a spicy radish mixture. Great for taking on picnics, trips or at home with some yoghurt and pickle. Please let me know what you think! If you don’t like Ajwain (Carom seeds), then you can substitute jeera (cumin seeds) instead. You could also try different flour according to your taste. 1. Add a pinch of salt and turmeric to the grated radish and place in a colander so that the excess water runs out. 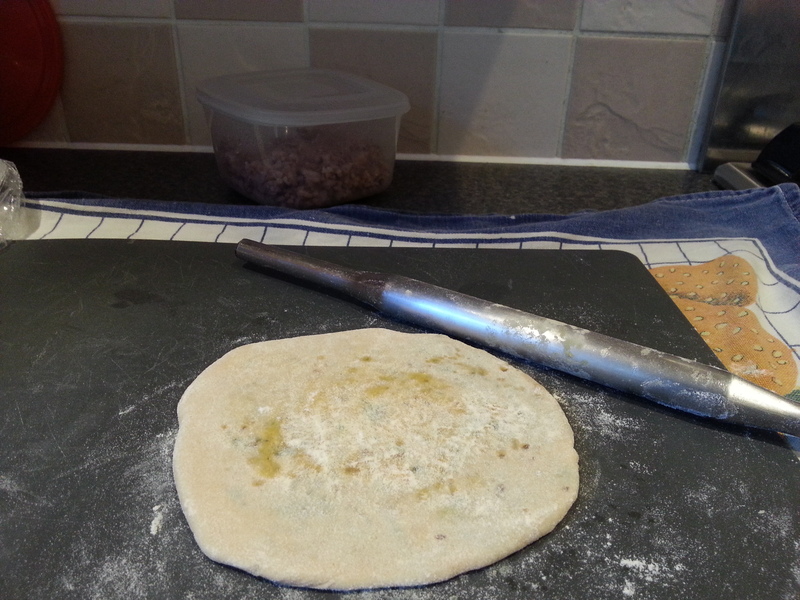 Set aside for about 30mins and meanwhile you can make the dough. 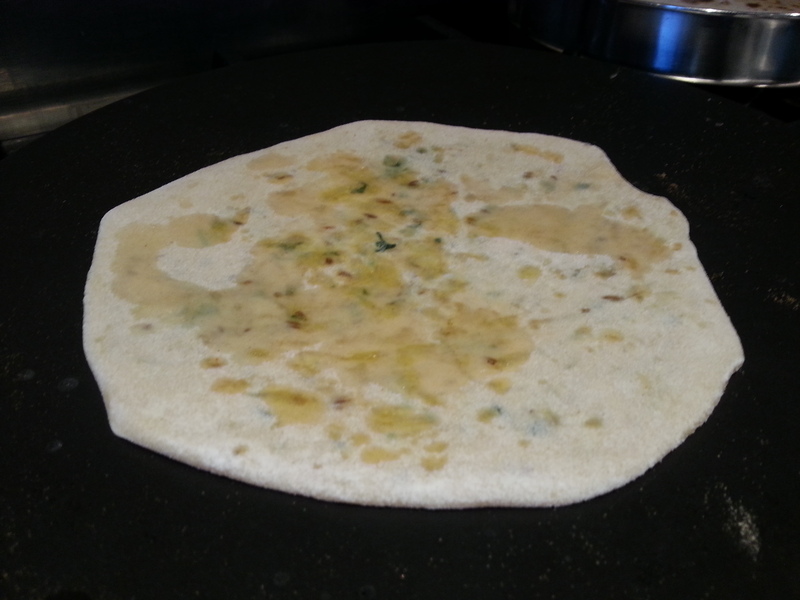 Ensure you do leave the radish aside for enough time – it’s important that the mixture is as dry as possible so the Paratha’s don’t become soggy and make the mixture ooze out. 2. In a big mixing bowl add the flour and salt and mix well. 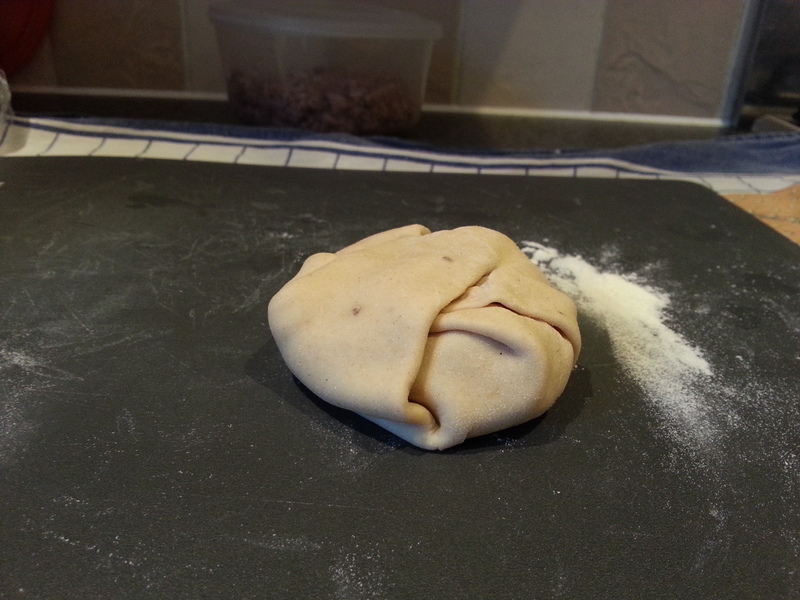 Add the water a little at a time to make a soft and pliable dough. Add more flour if it becomes too sticky. 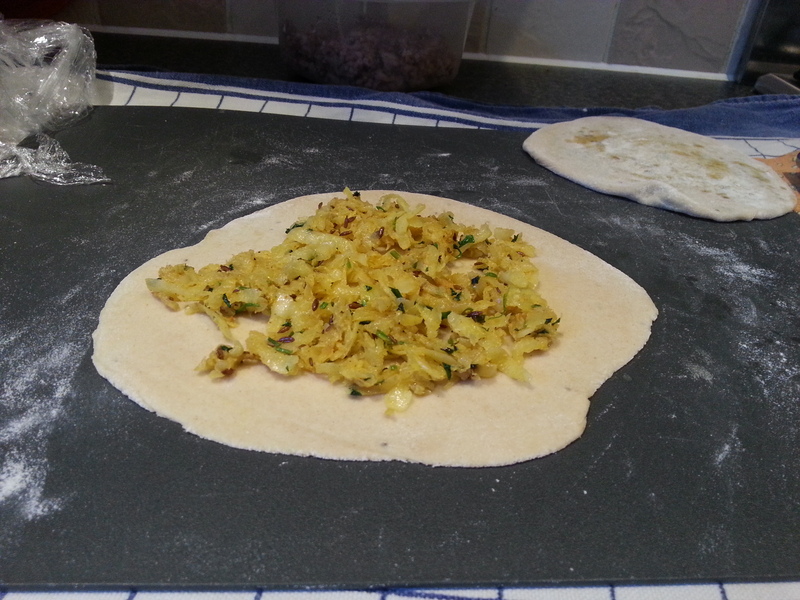 Then add a teaspoon of oil and knead again to incorporate it into the dough. Cover and set aside. 3. 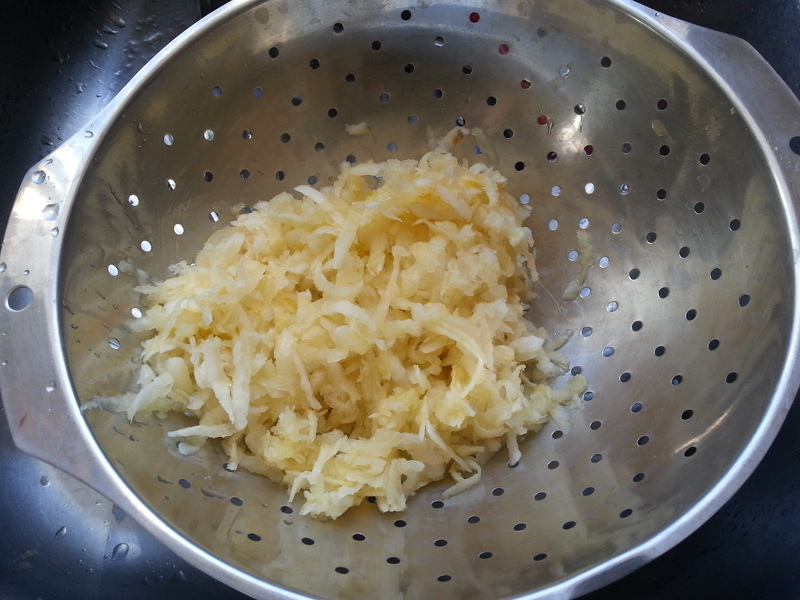 Squeeze the grated radish so you can release as much water as possible and then place in a separate bowl. 4. Add a teaspoon of oil to your pan and add the ajwain. 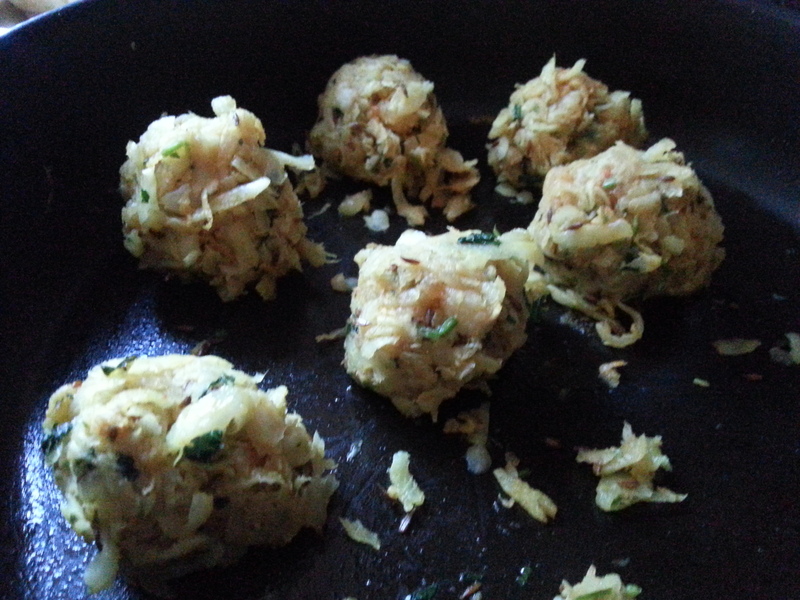 Let it splutter and then add the grated radish and sauté in the pan on a low heat for about 1 min and then add the rest of your ingredients (salt, red chilli powder, garam masala, coriander powder and coriander leaves). Mix well on a low heat for about 5mins. 5. Leave to cool until you can handle the radish mixture with your bare hands. Once cooled, make small balls with the mixture (about the size of a ping pong ball). Each ball will be the filling for each paratha. 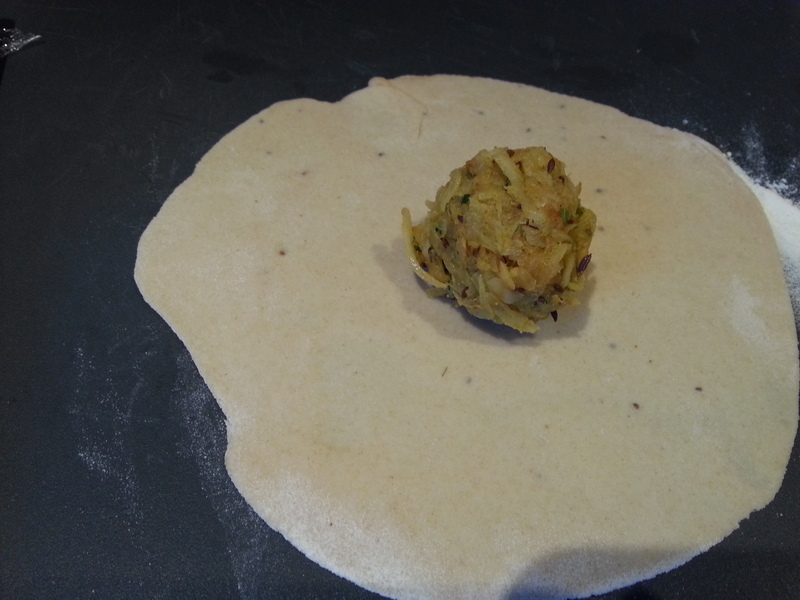 a) Roll the dough out into a small disc (not too thin) and then place a radish ball in the centre. 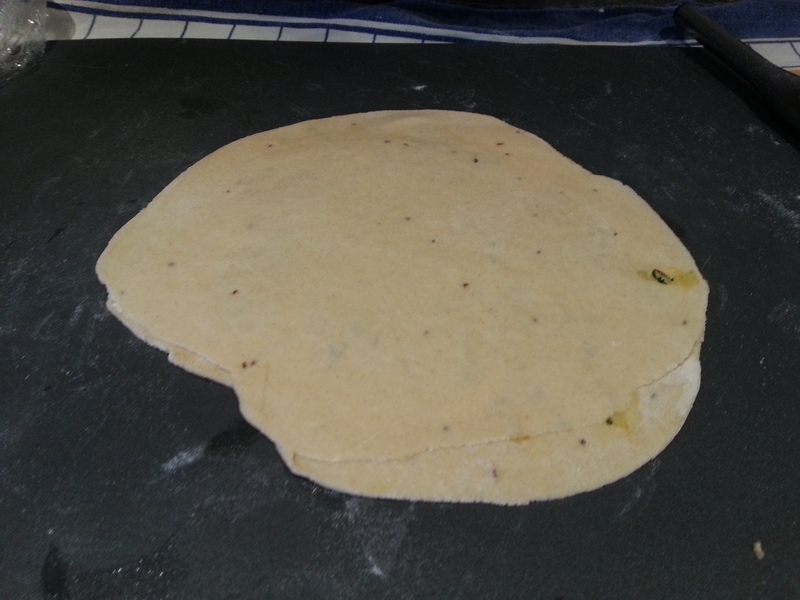 Fold the ends of the dough into the centre, ensuring none of the radish mixture can fall out. Dust the ball with flour and carefully roll out. 7. 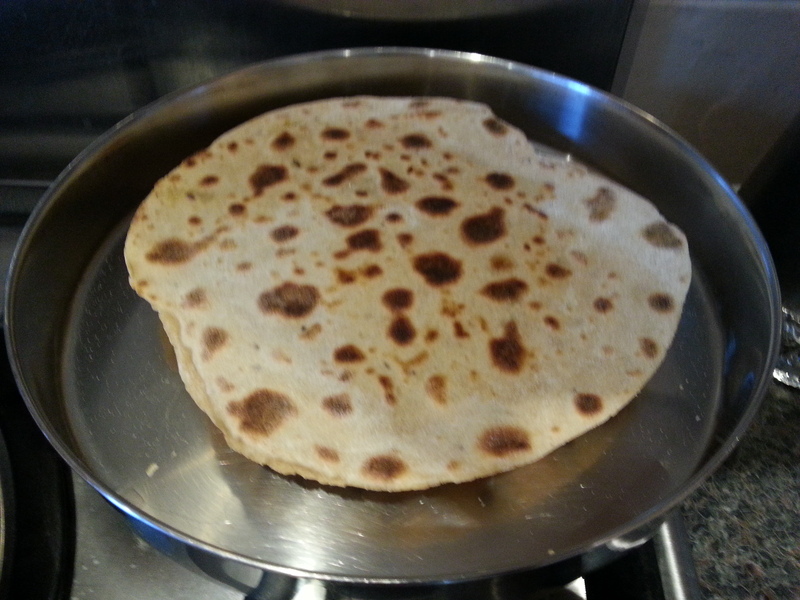 Heat your pan and carefully transfer each paratha and cook on both sides with a little oil and until you see brown spots on each side..